The aim of this paper is to report on the state of the performative arts in Turkey. To do this, I will first summarize the history of performative arts in Turkey, and then I will give an account of the development of drama in educational contexts. Finally, I will describe the annual drama seminars and current research in our country. The Turkish Republic is a young one. Established in 1923, it has gone through many social and political transformations, which have inevitably had an influence on how science and art are perceived. The Republic inherited from the Ottoman Empire a performative art tradition which had its roots in three distinct types of theatre: village shows; folk theatre played in town centres; and court theatre, which was based on “western” theatrical traditions. Considering the geographical location of Turkey, the term “West” signified the more advanced and civilized countries of the time, most of which were located in Europe. Having recently emerged from a tragic war, Turkey’s most urgent aim was to be on a par with these western countries in terms of science and arts. Therefore, western theatre, rather than the traditional forms, was promoted by the government (Karacabey 1995). As a result of this emphasis on western forms of theatre, many translated and adapted works were performed in theatres. In fact, even today, nearly half of the plays put on stage by Turkish state theatres are translated works. The following sections describe some examples from traditional and western forms of Turkish theatre. These are short plays performed by volunteer amateur players, citizens of the village. The plays are put on to honour important natural events such as celebrating the arrival of spring. It is believed that these plays stem from shamanistic religious rituals, which continued in a new form after the adoption of the Muslim religion. They are not based on a written script, but they usually consist of a predictable order of (ritualistic) events and utterances. The purpose of the play is usually to entertain and to celebrate, and therefore the mood is festive. Folk theatre consisted of plays presented during festivals and on celebration days. The artist was a professional, trained within a master-apprentice relationship and the theatre company consisted of one or only a few people. Folk theatre plays have a general structure but no script; each is unique because most of it is improvised in accordance with the reactions of the audience. The play was performed in an open space with an audience located around it with minimal use of decor and costume. 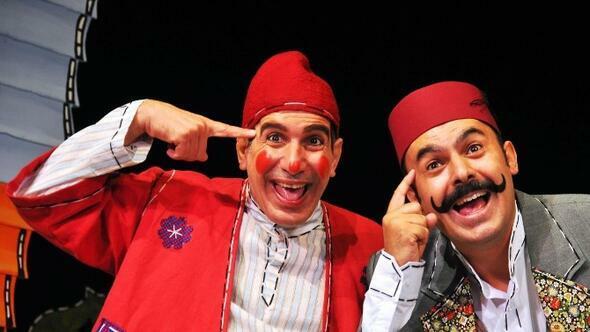 The two main characters in the play “Ortaoyunu” are “Pişekar” (a cunning person) and “Kavuklu” (a simpleton). The main event is usually finding a job or wife for Kavuklu. The play is almost entirely improvised and the comedy effect is achieved mainly through the misunderstandings between these two opposing characters. All of the characters in “Ortaoyunu” are based on stereotypes and they always behave according to their stereotypes. The play consists of an introduction, where the characters are presented, a “Fasıl” (interlude), which is the main part of the play, and an ending. These parts are generally independent of each other. This is a shadow-puppet theatre. As with Ortaoyunu, one of the two main characters is educated (Hacivat) and one is uneducated (Karagöz); they maintain the comedy effect thanks to misunderstandings. It begins with an introduction where Hacivat and Karagöz meet in the street and quickly start arguing. Hacivat leaves the scene first and Karagöz follows him. The next stage is the Fasıl, or the main part of the play; it can be made up of one to three stages. The play ends with Karagöz apologizing for any mistakes, announcing the end of the play and giving information about the next play. Meddah is played by one actor. He uses minimal props: a chair, a walking stick, a hat and a woman’s scarf. Meddah tells the audience a story, using his props to represent the different characters in his story. He aims to make the audience laugh and learn at the same time. In Ottoman tradition, Meddah took on the role of a living newspaper, telling people the stories of the palace and the Sultan. In the Ottoman Empire, theatre in the western sense began to be performed after the Tanzimat era (Sağlam 1999). The first Turkish play “Şair Evlenmesi” (The marriage of the poet) was written by İbrahim Şinasi in 1859. It was a comedy inspired by Moliere’s plays. Used to being entertained by traditional folk theatre and village shows, the Turkish people’s favourite genre of western theatre was the comedy. The first theatre was built in İstanbul in the mid 19th century, and by the end of the 19th century, individual theatre companies began to appear. These were based on improvisation and called themselves “Tuluat tiyatrosu” (Improvised theatre). This can be considered to be the first attempt at combining the western comedy genre with traditional Turkish theatre (Yüksel 2014). As a result of the adaptation of the western master-slave comedy into Turkish culture, the İbiş character was born. İbiş theatre was played on stage in the Direklerarası district of İstanbul and it was also widely adapted for puppet plays. In Direklerarası, musical performances were also given, for example, Kanto. So the tradition of combining music and performance continued. The first city theatre in the formal sense was called “Darülbedayi” and it was established in 1925 (Buttanrı 2010). It was launched in İstanbul and continued its activities, which included producing theatre and educating actors and actresses for the theatre, until 1949, when it became one of the Turkish State Theatres. It was supported and maintained by the government and its aim was to spread western theatre across the country. Private theatre companies did not emerge until the 1960s, after their legalisation in 1961. During these years, experimental plays which had a western view point but were shaped by eastern-oriented characteristics were introduced (Yüksel 2014). One example that emerged from these years was Haldun Taner’s company, which played in the cabaret genre. It was called “Hisseli Harikalar Kumpanyası” (roughly translated as The Joint Venture Company of Wonders) and it was so popular that it has been adapted for theatre and television many times since then. Both the Turkish State Theatres and private theatres continue with their activities today. The total number of different plays put on each year is about 8,000 according to TUİK (the formal statistics institute of Turkey (http://www.tuik.gov.tr/PreHaberBultenleri.do?id=24672). These are performed in about 27,000 shows across the country. The average number of theatre goers a year is slightly above 6 million people. Every year, state theatres continue their efforts to raise more interest in theatre by means of tours and festivals. According to Çetin (2016), the lack of interest stems from economic, political and educational factors. On the other hand, TÜİK’s data were based on western theatre performances, in other words those played in theatre halls, and not on traditional theatre shows. Therefore, these numbers might not include all performative activities in the country. Theatre professionals are educated in “stage arts” departments of institutions called “Devlet Konservatuvarı” (State Conservatory), which were established within the state universities. There are 39 conservatories in Turkey. Students enter these on the basis of a central examination administrered by the government and an audition carried out by the conservatory. The education programme lasts 4 years and corresponds to a BA degree. Conservatory graduates can continue their studies on MA and PhD degree programmes and seek employment in the conservatory, or they can work at state theatres or private theatre companies both on- and back-stage. According to Adıgüzel (2010), the history of drama in education should be considered in two periods; before 1980 and after 1980. He considers the year 1982, the meeting of İnci San and Tamer Levent, as a turning point for the development of drama in education. Moreover, the terms “drama”, “dramatisation”, “müsamere” (a kind of end-of-school theatre, dance and music show) and “temsil” (stage-play) cause confusion. These terms are not the same thing as creative drama as we understand it today, but all of them are related to creative drama. The first traces of performative elements in education date back to the last years of the Ottoman Empire. In 1908, İsmayıl Hakkı Baltacıoğlu included theatre in the schools of İstanbul. In his efforts to spread his ideas, he prepared a brochure and distributed it to schools. One sentence from these brochures is particularly significant: “Hiçbir sözcük bir anlamı bir yüz, eller ya da gövde kadar etkili ve tam anlatamaz” (as cited in Adıgüzel 2010). This can be translated as: “No word can convey a meaning better and more completely than a face, hands or a body.” After the establishment of the Turkish republic, Baltacıoğlu became Minister of National Education and immediately issued a bylaw about school theatres. According to Baltacıoğlu, historical facts and civilization can be taught to children through staging national and international plays. This is possible thanks to the natural instinct of play that children already have. He proposed that under the supervision of teachers, the children could prepare for the play, research the background of the play, and work on the decor and accessories all by themselves. According to Baltacıoğlu, the actor/actress is the most important element of theatre; all the other elements (the stage, curtains, decor, costumes, make-up, and even the text) are supplementary. He discouraged the memorization of texts as he felt that the player should understand the dramatic situation well and act accordingly by improvising. The player manufactures the character he is playing by assuming the personality of the character, moving, acting, and producing dramatic meanings, becoming the character. In this sense, in his view, theatre is a sample of life. The student lives the life of the character and thus learns about the human relations, realities and values of a given society in history or in a geographical location. Other early examples of performative arts in education are Selahattin Çoruh’s (1950) book “Dramatization in School” and Emin Özdemir’s (1965) book “Dramatization Applications”. However, the subject was only considered in an academic environment by İnci San and Tamer Levent’s works after 1982. The drama tradition which emerged from their work is called “creative drama” in Turkey. During his years at the conservatory, he was against the strict attachment of the conservatory teachers to their own truths in the education of artists. His rebellion at the time was a sign of his future identity, interwoven with his love for reform in education. He read Stanislavsky and Brecht and began to realize that there are different approaches to actor training. One of his friends gave him John Hodgson’s books “Improvisation” and “The Uses of Drama”. These provided him with valuable insights into how to improve creative acting. He later read more about improvisation and undertook small-scale experiments on himself and a group of friends, and amateur theatre actors. He then discovered Dorothy Heathcote’s work and developed a common language which could foster communication between himself and his study groups. He was perceived as a romantic idealist and naive actor by his professional circles at the time, but later, in 1990, he was among the founders of the Contemporary Drama Association and he has become the most important pioneer of creative drama in Turkey. Back in 1982, İnci San, then an associate professor in the the Fine Arts Education Department at Ankara University, was focusing her research mainly on the development of the creativity of students through the fine arts. She decided to invite Tamer Levent and they went on to collaborate in the training of about 70 students from the Faculty of Education for more than two years. Levent and San developed the idea of creative drama for Fine Arts education and continued their workshops with other groups of students from different departments throughout the years 1985-1987. San directed the first MA theses by Ahmet Çebi and Tülay Üstündağ (Çebi 1985; Üstündağ 1988). These were the very first theses in which creative drama and role playing were dealt with in theory and practice. After these first studies, there have been many MA theses and graduation projects directed by San or the other members of the Creative Drama Field of the Fine Arts Education Department at Ankara University. The first PhD thesis in the field was written in 1990 by Esra Ömeroğlu at Hacettepe University (Ömeroğlu 1990). İnci San and Tamer Levent opened the first MA course titled “Creative Drama” in 1991. As a result of the academic efforts outlined above, the council of higher education included compulsory courses entitled “Drama in primary education” and “Drama in pre-school education” in the BA degree during the reconstruction of Faculty of Education programmes in 1997. In a revision of the programme in 2007, compulsory drama courses were added to the programmes in the Social Sciences, Physical Education, and Foreign Language Teaching departments as well. In pre-school institutions, survival skills should be taught by means of dramatisation and playful activities. These can include sounds, words, coloring-drawing, stories etc, in creative activities, and the programmes should be developed according to the principle of “theatricalisation of education as a whole”. These efforts should be linked to mother tongue education. The allotted ten lessons should be organized so as to include two hours of speaking activities and two hours of dramatic activities. The teachers should be given in-service training in order to be able to teach this “speaking and dramatic activities component” (MEB 1983: 2f). Drama should be used as the main method of teaching in the programme because of its potential for learning by doing, gaining self-confidence, socialization, and identity formation. Fine Arts are an indispensible part of “common world knowledge” from pre-school to university education. Therefore, Fine Arts Education should be compulsory not only in pre-school and primary school education, but also at higher levels. Therefore, the elective music and arts courses should immediately become compulsory at high school level. Later, drama activities should be encouraged in the fine arts lessons. In secondary and high schools, the teachers should be awarded with a salary increase if they engage in drama and school theatre (MEB 1991: 20). If we compare the 1983 and 1991 reports, the 1983 report is important because the word ‘drama’ is used for the first time as the name of a teaching method. In the 1991 report, the uses and benefits of drama were highlighted and it was suggested as a compulsory course at various levels (Adıgüzel 2010). The Ministry of Education produced publications parallel to these reports. In 1984, the programme for the elective Drama courses 1-2-3 for primary schools began. After the 1991 report, a group of teachers were assigned to write a book entitled Drama I. The supervisory committee of the book comprised several drama specialists (e.g. İnci San, Tamer Levent, Ayşe Çakır İlhan, Ayşe Okvuran, Tülay Üstündağ and Ömer Adıgüzel) and the book was eventually published in 1999 (as cited in Adıgüzel 2010). İnci San and Tamer Levent cooperated with the Ankara German Cultural Centre and British Culture Association to organize an international seminar in 1985 (Adıgüzel 2010). Their aim was to disseminate their ideas about creative drama and to make the term known with its new and contemporary meaning. This was the first “International Drama in Education Seminar”. It lasted 5 days and included workshops by Hans Wolfgang Nickel and Marlies Krause from Berlin Fine Arts Academy, Wolfgang Tiedt from Köln Sports Academy, and Tamer Levent. In addition, many scholars including İnci San, Abdülkadir Özbek, Cahit Kavcar, Özdemir Nutku, Yılmaz Onay, Gülşen Karakadıoğlu, Cüneyt Gökçer, Neriman Samurçay, Ertuğrul Özkok and Erkan Akın participated with speeches. The book “Spiel und Theater in der Türkei” (Play and Theatre in Turkey), edited by Hans Wolfgang Nickel and Marlies Krause, was published as a result of this seminar (as cited in Adıgüzel 2010). The Second International Drama in Education Seminar was held in 1987. As a result of this seminar, Turkish, English, and German specialists conducted drama workshops whereby dramatic situations were re-constructed from various angles through trial and error in order for the participants to share their knowledge, experience, social and psycho-cultural backgrounds (Yahyaoğlu and Yıldırım 2016). Through the data from these workshops, some important insights and common ideas about the pillars of creativity were achieved. In addition, theoretical and applied discussions about the importance of creativity in expression, communication and interaction in national education and actor training took place. The Third International Drama in Education Seminar was held in 1989. Dealing with the issues of play with and for children, this seminar was especially important in the dissemination of creative drama because the minister of education of the time, Avni Akyol, having watched an extract from the seminar workshops on a television programme, expressed his positive attitude towards drama and promised to take steps for its use in different levels of education in state schools (Adıgüzel 2010). […] the second and third international seminars were aimed at establishing the concept of creative drama, so we drew attention to the vital importance of creative drama in education. After the third seminar in 1989, participants began applying drama in their contexts and came up with questions, pleas for approval, and the need for further inquiries. The field had been established and the need to expand it had arisen. The Contemporary Drama Education Association was the result of these developments. The Contemporary Drama Association (http://yaraticidrama.org/) aims to investigate the possibilities of using drama for educational purposes. It tries to disseminate this knowledge across the country by means of national and international seminars, courses, publications, and conferences. It also provides a service for the development of new educational programmes based on drama, participates in festival organisations, and is involved in academic research projects both at national and international levels. One of the most important activities of the Contemporary Drama Association is providing training for drama facilitators. The training programme comprises 6 modules and lasts about 320 hours. 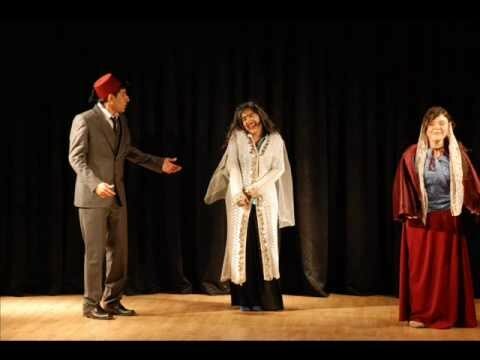 This was also the first Drama training program that was approved by the Ministry of Education in Turkey. The association has its centre in Ankara but there are representative agencies in other cities. It has about 600 members across Turkey, most of whom are scholars at universities, actors and actor trainers. In one term, an average of 1500 people enrol on the association’s drama education courses. Since 2006, other courses have been opened within the association, for example, drama workshops for children, housewives and retired people. With the combined efforts of İnci San and Tamer Levent, drama has been introduced to Turkish educational circles and has found wide acceptance at all levels of education in Turkey. In a recent meta-analysis study by Toraman and Ulubey (2016) it was concluded that drama enhances positive attitudes towards any course where it is used as a method. This meta-analysis was conducted with 30 carefully selected experimental and quasi-experimental studies held in Turkish schools. In another meta-analysis study in which the effects of drama on academic achievement were examined, 23 articles, 37 Masters’ theses, and 5 PhD dissertations from Turkish schools and universities were adopted for meta-analysis (Ulubey & Toraman 2015). It appears that the popularity that creative drama has enjoyed is due to its similarity to traditional Turkish theatre forms and the already-existing forms in the traditional ideals of education. Traditional Turkish theatre forms, village shows and folk theatre share common features such as “an atmosphere of festivity, performability in the town square, performance based on the skills of the performer, improvisational and episodic theatricality, characterization through “types”, comedy, minimal use of decor and costume, music and dance, an organic audience-performer relationship – in short, an abstract style of expression”, which are also similar to the features of “open-form presentational theatre”, which is a commonly-used form of western theatre (Tekerek 2005: 158). Accustomed to open-form presentational forms, Turkish people liked creative drama very much and accepted it easily. The traditional dramatic tensions created by the educated-uneducated or cunning-clever encounters are naturally combined and used by even the most inexperienced drama participants. On the other side of the coin, however, the aim of improvisation can easily turn into making up funny scenes and entertaining rather than enacting and experiencing phenomena as viewed from different angles and learning. For this reason, Adıgüzel (2010: 102) emphasizes that drama participants should avoid using template characters, copying dramatic conflicts from well known plays, or imitating the manners and voices of famous characters. The second factor that helped İnci San and Tamer Levent’s ideas blaze so easily was the fact that the idea of using dramatisation and theatre already existed in the fabric of Turkish educational ideals. In 1908, Baltacıoğlu had associated dramatisation and improvisation with the idea of “effective teaching”. His thoughts were carried over through the years until the 1950s and 1960s, when key books for teachers were available. Schools were already organising end-of-term theatre and music shows (called “müsamere” in Turkish) where the school children took to the stage and children’s plays (called “temsil”) were presented to parents. Dramatisation was already used in different school subjects. For example, students would dramatise a historical event, a day in the life of a profession, or a scene from literary works in the classroom. The İnci San-Tamer Levent meeting, however, brought a different dimension of drama and allowed international ideas to flow into and blend with these practices. The emphasis on “creativity” came from İnci San’s work on how creativity is triggered. Tamer Levent’s contributions provided the artistic dimension. In doing so, the concept of drama was shaped by these two essential principles which deviated from the previous practices and led to creativity and artistic quality. Drama both feeds theatre and is nourished by theatre (Adıgüzel 2010: 74). It fosters learning by creating and recreating real situations, seeing them from different angles rather than just imitating or representing them (San 1990). At the point we have arrived at today, Turkish understanding of drama has become that of a “creative drama” form which can be understood both as a discipline and a teaching approach. The people who participate are called “the group” and the person who facilitates the drama is called “the leader”. Creative drama is applied through three organically related stages: warm-up, drama scenes and reflection. Within the drama scenes, several “formations” may happen. These are the unplanned, spontaneous stretches of events explored by using drama conventions. Both the group and the drama leader take on responsibility for the experience. Essentially, the experience belongs to the group rather than to the leader; hence unexpected “formations” are possible. The conventions used during the drama sessions are not unique to the Turkish context. That is, the well-known and widely-used conventions used in Turkish circles as described in the basic works on creative drama (e.g. Adıgüzel 2010; Erdoğan 2016) overlap a great deal with those described in international resources (e.g. Prendiville & Toye 2007: 4-7). The first value that is protected in all drama circles in Turkey is that of sharing and learning from each other. The multiplying number of leaders can share their repertoires of drama lessons through various mediums such as academic journals (e.g. www.yader.org), social media (e.g. https://tr-tr.facebook.com/eyat1/) and special interest groups, for example, teacher associations. Drama has so far been nurtured by the selfless and devoted drama leaders who have collaborated and shared their expertise, and it will continue to grow for as long as we nourish that spirit. 4th International Drama in Education Congress: “Dramatisation in Education.” Ankara, 23-26 April 1991, with workshops by Hans Wolfgang Nickel, Dagmar Dörger, Marlies Krause, Hugh Lovegrove, Pamela Bowel. 5th International Drama in Education Seminar. Ankara, 15-20 March 1993, with workshops by Hans Wolfgang Nickel, Ulrika Sprenger, Dagmar Dörger, Pamela Bowel, Naci Aslan. This seminar was the first time that the Minister of Education attended. The Minister of Education of the time, Köksal Toptan, made a speech and stressed the importance of teaching this effective method to the teachers as soon as possible. 6th International Drama in Education Seminar: “Drama-Mask-Museum.” Ankara, 23-28 October 1995, with workshops by Sabine Stange, Andrea Earl, Peter Ward. 7th International Drama in Education Seminar. Ankara, 8-13 December 1997, with workshops by Gunter Mieruch, Roger Farnoff, Uwe Krieger, Ömer Adıgüzel. 26th February, 3rd March 2001, with workshops by Renate Breitig, Ulrika Sprenger, Hans Wolfgang Nickel, Dagmar Dörger, David Davis. 9th International Drama in Education Seminar: “Alienation.” Ankara, 3-7 March, 2003, with workshops by Eric Szauder, Luciano Longa, Günter Mieruch. 10th International Drama in Education Seminar: “Creative Drama in Intercultural Interaction.” Ankara, 11-15 May, 2005, with workshops by Barbara Rüster, Nadja Raszewski, Wolfgang Wermelskirch, Ali Öztürk. 28 March, 1 April 2007, with workshops by David Davis, John Somers, Ines Honsel, Karl Meyer, Ömer Adıgüzel, Ali Öztürk. 12th International Drama in Education Seminar. Hatay, 24-27 April 2008, with workshops by David Davis, Karl Meyer, Geddy Aniksdal, Vibeke Lie. For the first time, the seminar was held outside Ankara. Tintti Karppinen, Tamer Levent, Ali Öztürk. For the first time, the seminar gained a congress dimension. 14th International Drama in Education Seminar: “Drama in the education of the very young learner.” Adana, 20-23 May 2009, with workshops by Tintti Karppinen, Kari Mjaaland Heggstad, Carmen O’Sullivan, Karl Meyer. 15th International Drama in Education Seminar. Eskişehir, 12-15 November 2009, with workshops by Ulrike Jungmair, Gertrud Auge, Patrice Baldwin, Roberta Secchi. 8-11 April 2010, with workshops by Jutta Heppekaisen, Jan Weisberg, Swange Noelke, Roger Fornoff, Gerd Koch, Hans Martin Rutter. 17th International Drama in Education Congress: “Social consciousness and rights education through creative drama.” İstanbul, 1-5 September 2011, with workshops by Dagmar Dörger, Gerd Koch, Hans Wolfgang Nickel, John Somers, Jamie McLaren Lachman, Mette Boe Lynstad, Janeke Thesen, Tintti Karppinen. 18th International Drama in Education Congress: “Creative drama in relation with multiculturalism and interculturalism: differences, awareness.” Antalya, 31 March, 3 April 2011, with workshops by John Somers, Pamela Bowel, Anna-Lena Ostern, Mario Gallo, Michael Zimmerman, Gerd Koch, Sigrid Seberich, Ömer Adıgüzel. For the first time in Turkey and in the World, a Drama Ethics Declaration was prepared and signed by the facilitators and participants of the drama workshops. 19th International Drama in Education Seminar: “Urbanism Consciousness.” Kocaeli, 17-20 November 2011, with workshops by Elise Devliegher, John Somers, Mario Gallo, Gerd Koch, Patrice Baldwin, Tintti Karppinen. EDERED (European Drama Encounters) 2012: “Slowness.” İzmir, 6-20 July 2012. 96 young people aged 16-18 from 12 European countries and 150 young people from Turkey participated in drama workshops. 21st International Drama in Education Seminar “Rituals and Creative Drama,” Şanlıurfa, 14-18 November 2012, with workshops by Asa Helga Ragnarsdottır, Patrice Baldwin, Sanja Krsmanovic Tasic, Tintti Karppinen, Tülin Sağlam, Mustafa Sekmen, Nami Eren Beştepe, Ebru Turan Vural. 22nd International Drama in Education Seminar: “Body as a means of expression: Drama Dance Motion.” Trabzon, 25-28 April 2013, with workshops by Patrice Baldwin, Elise Devliegher, Canan Kesebir, Friederike Lampert, Öcal Özbilgin, Roberta Secchi. 23rd International Drama in Education Seminar: “Being a woman.” Ankara, 14-17 November 2013, with workshops by David Davis, Gertrud Auge, Nihal Kuyumcu, Nalan Olgun, Anna-Lena Ostern, Ali Öztürk, Nadja Raszewski, Roberta Secchi, Tülay Üstündağ. 24th International Drama in Education Seminar: “Drama method, drama lesson.” Muğla, 24-27 April 2015, with workshops by Darell Alridge, Romi Domkowsky, Katrin Janser, Selen Konrad Birkiye, Robin Pascoe, Ulrike Stockburger, Tülay Üstündağ. 25th International Drama in Education Seminar: “Approaches to Dance and Creative Drama.” İzmir, 2-5 April 2015, with workshops by Darell Alridge, Özlem Gökbulut, Tintti Karppinen, Canip Gündoğdu, Frederika Lampert, Robin Pascoe, Tarek Zboun. 26th International Drama in Education Seminar. Ankara, 9-11 March 2016, with workshops by Kimmo Tahtıvırta, Maja Svıben, Sanja Krısmanovic Tasic. 27th International Drama in Education: “The Living Museum.” Bursa, 2-5 March 2017, with workshops by Matthew Ward, Jenny Staff, Vicky Cave, Rebecca Mileham, Ömer Adıgüzel, Hülya Gök, Ceyhan Özer, Ayşe Okvuran, Tintti Karppinen. 28th International Drama in Education Congress: “Circle for a fair world.” Antalya, 23-26 November 2017, with workshops by Tamer Levent, Deniz Devrim Şahin, Ali Öztürk, Özgür Adam İnanç, Murtaza Aykaç, Tintti Karppinen. The 29th International Drama in Education Congress is planned to be held in Ankara in October, 2018 (more information to be announced on www.yaraticidrama.org).